Some more monks enter the scene. This is one of my new favorite drinks! 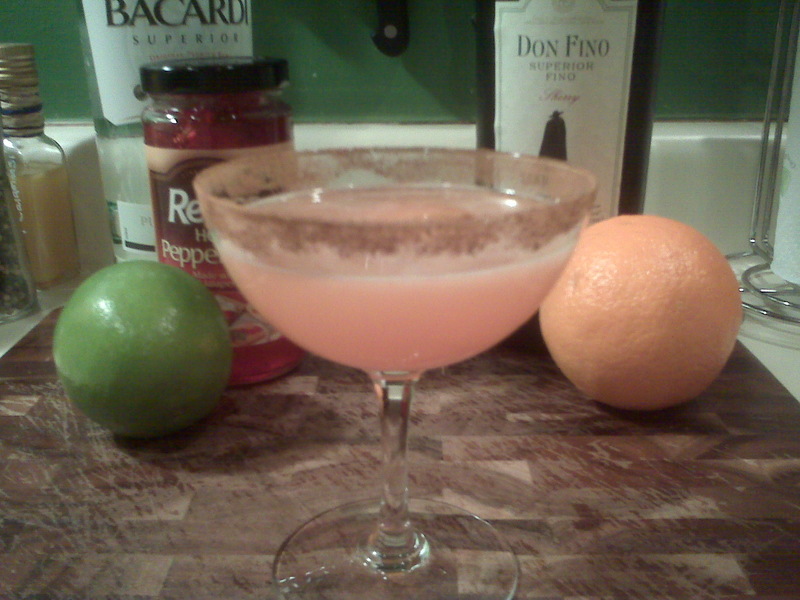 I love drinks that have just a couple or a few ingredients, quick and easy to make, that are just simple and good. The Manhattan for example, one of my favorite drinks, and this drink reminds me very much of a Manhattan, but quite different tasting. Just 2 main ingredients with some bitters – simple and perfect! 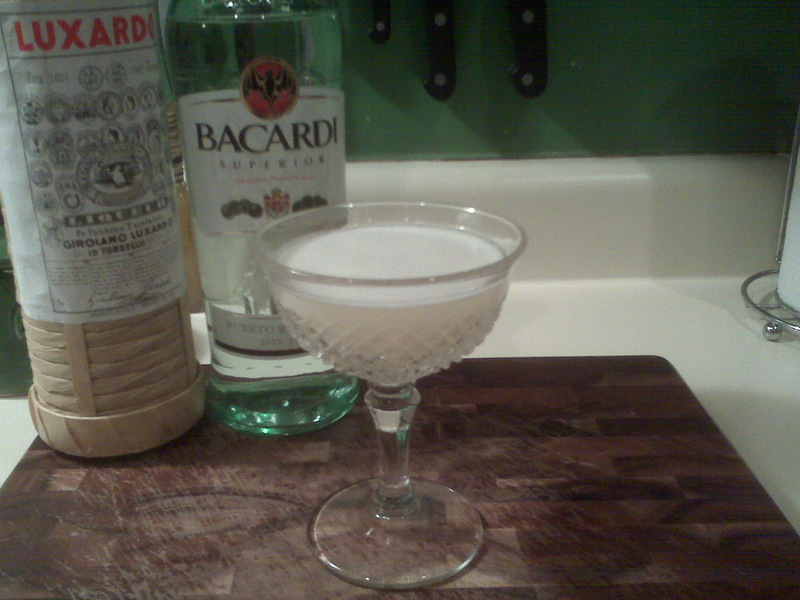 Here’s a drink that’s perfect in the evening time, when you come home from a hard day at work. It’s no fuss at all to make, and it’s a soothing, stiff drink. 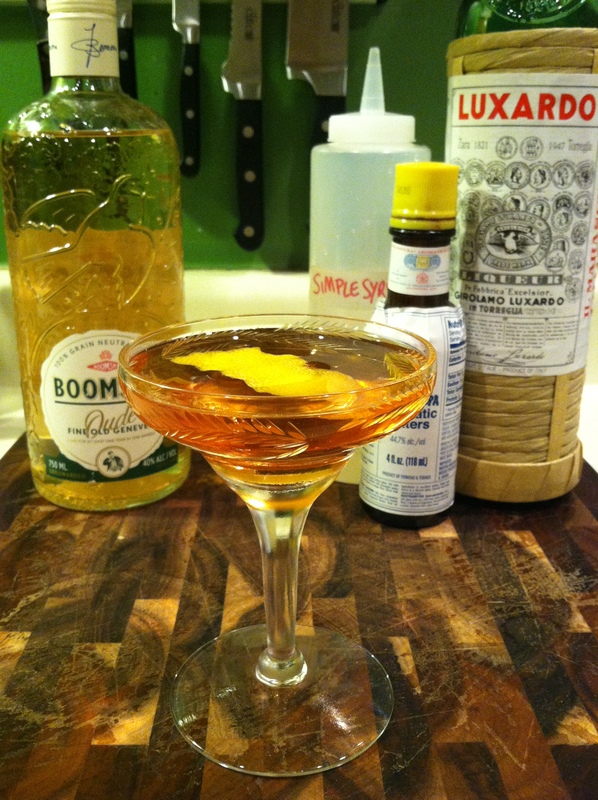 It’s got the kick of rye, with the sweetness of the Benedictine that’s reminiscent of the vermouth in a Manhattan, with the nice taste of bitters, and the refreshing zing of the lemon twist. It’s a very well-crafted, simple cocktail. I highly recommend it! 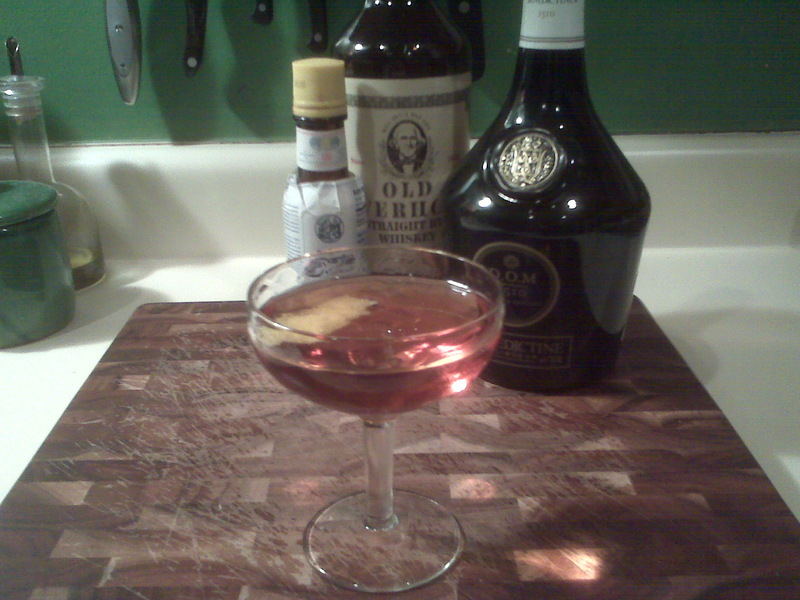 Here’s another really nice drink featuring Benedictine, the Vieux Carre. 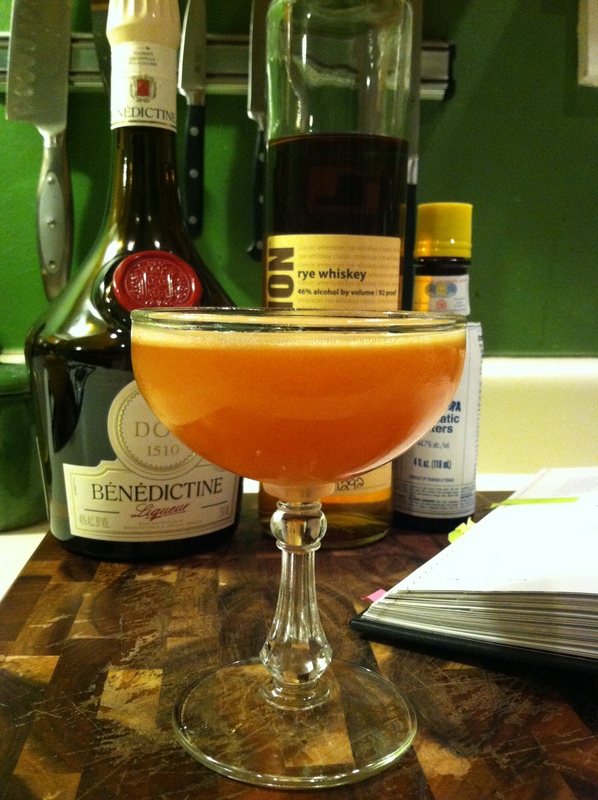 I first tried this drink at my local bar, Sanctuaria, and then later recreated it at home using my new bottle of the Benedictine. I don’t typically make a lot of drinks on the rocks, but more and more I’m becoming fond of these drinks. 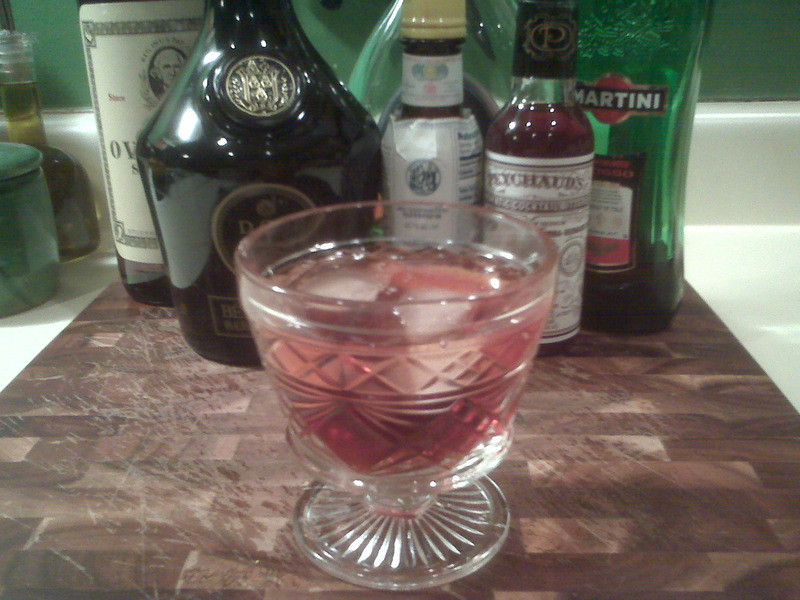 And the Vieux Carre is a good one to add to my rotation. 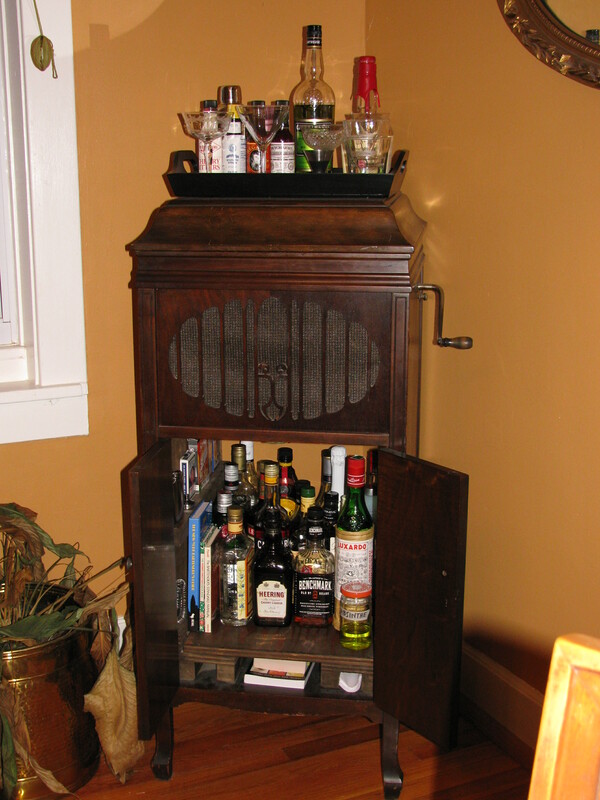 It’s got a lot of different flavors going on in the mix – brandy, rye, vermouth, Benedictine, and even two kinds of bitters. 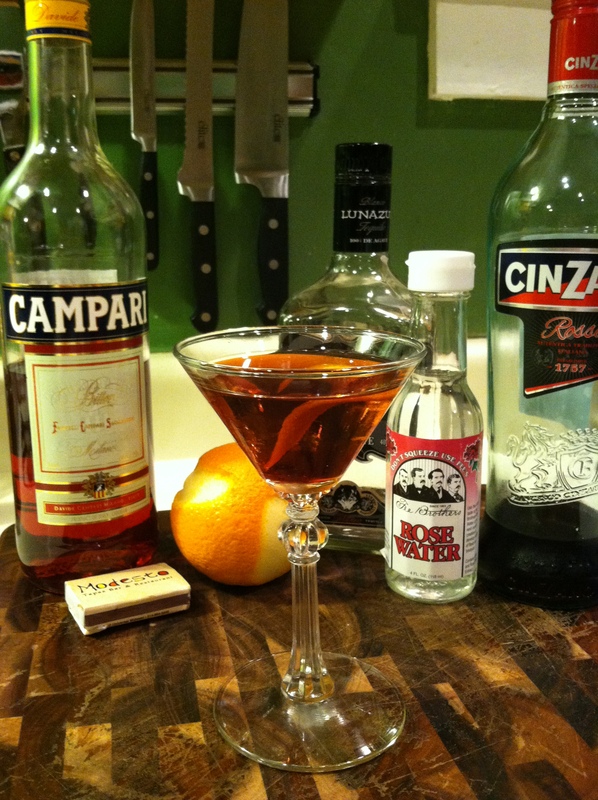 It’s another stiff drink with a refreshing note because of the sweetness of the brandy, Benedictine, Peychaud’s bitters and vermouth. It’s another really nice stiff drink. I guess that’s another selling point of Benedictine for me… Just like Chartreuse, it’s a liqueur with a high alcohol content. 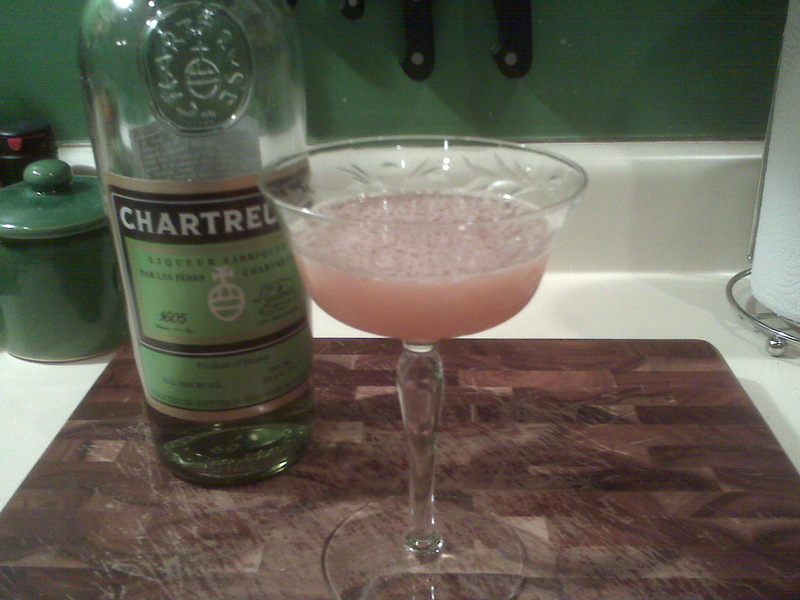 Not nearly as alcoholic as Chartreuse, but high enough so that it gives a cocktail a real kick. Stir well with ice, then strain in to a rocks glass with ice. This cocktail’s kind of a strange one to me. 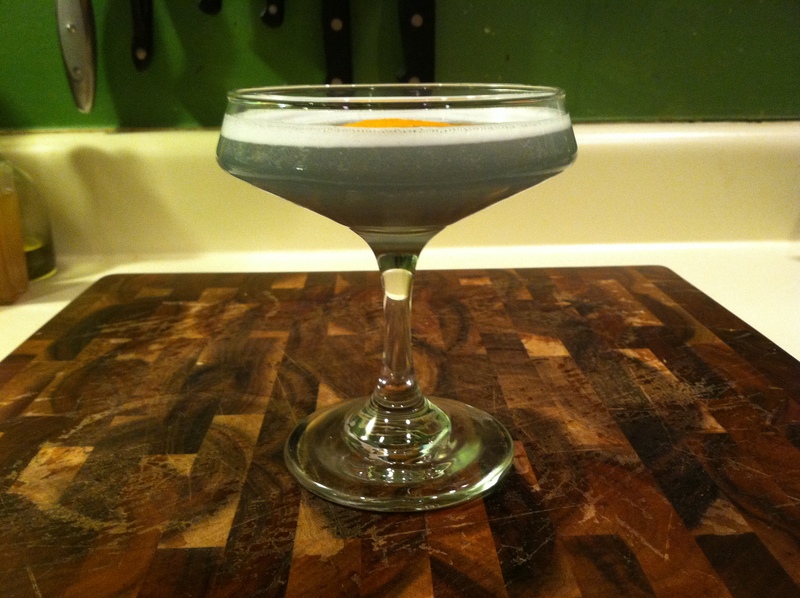 For one, there’s a few different recipes out there for drinks all called a “Millionaire”. All the different recipes refer to this drink as an old classic, but the recipes are about as different from each other as night and day. 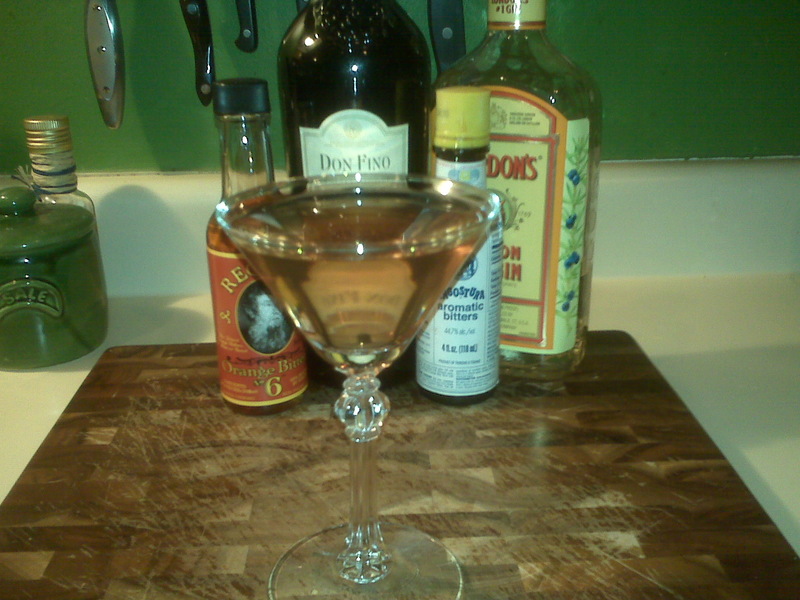 I generally find a drink that sounds good to me in a book or online somewhere. Before I make it however, I usually look up a few other recipes online to kind of see the variations of different recipes and look for the one that sounds best to me. Usually I find small variations, that probably don’t even make that much difference, but still, one may sound better to me than another due to one using more or less of a particular ingredient. 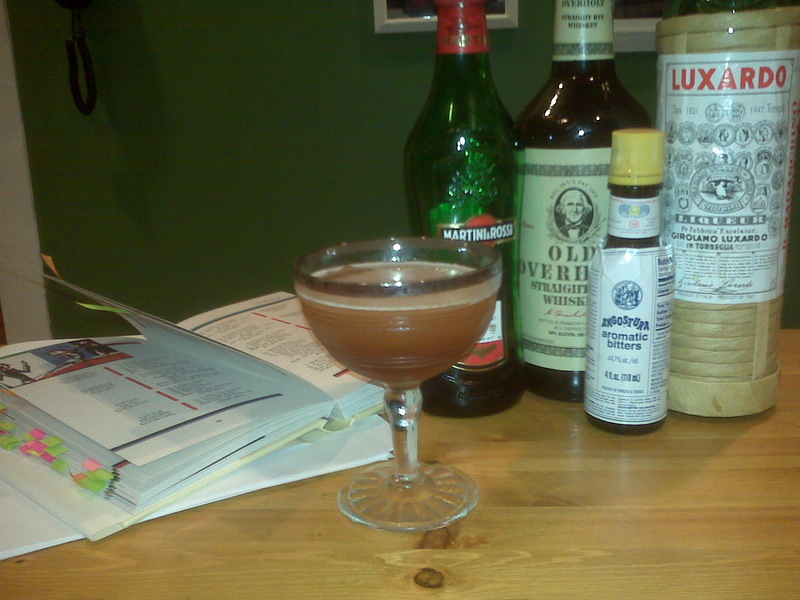 So anyways, I looked up this drink, comprised of rye, triple sec and egg white, and was surprised to find other recipes (still referred to as an old classic) that don’t feature any of these ingredients, but instead call for sloe gin, apple brandy and rum! There apparently is two old classic drinks, both called a Millionaire, that are two completely different drinks! If anyone knows the story behind this, let me know, because I’m very interested in hearing what it is. So anyways, below is a recipe for what perhaps some people call a Millionaire. It’s completely different from what some other people also call a Millionaire. Either way, at the end of the day, whether this is the true Millionaire cocktail or the other one is, or there’s two drinks with the same name, I didn’t care for this drink all that much. It did not have a strong taste of anything really, but rather a cooled down, light taste of rye, with a frothy and silky texture. There weren’t really any other strong flavors jumping out in the drink either, but just a light silky, watered-down taste of rye. I don’t know if it’s because this is a really old drink, and perhaps it has not stood the test of time due to Americans’ tastes having possibly changed over the years or not, but it does seem to have a very “old fashioned” sensibility about it, kind of like an egg cream drink. An egg cream drink was quite a treat for people back in the day, but to me it’s just not that flavorful. But people used to really enjoy it. This is what I imagine is the case with this drink. I don’t know… maybe it’s just me, but I’m not a big fan. 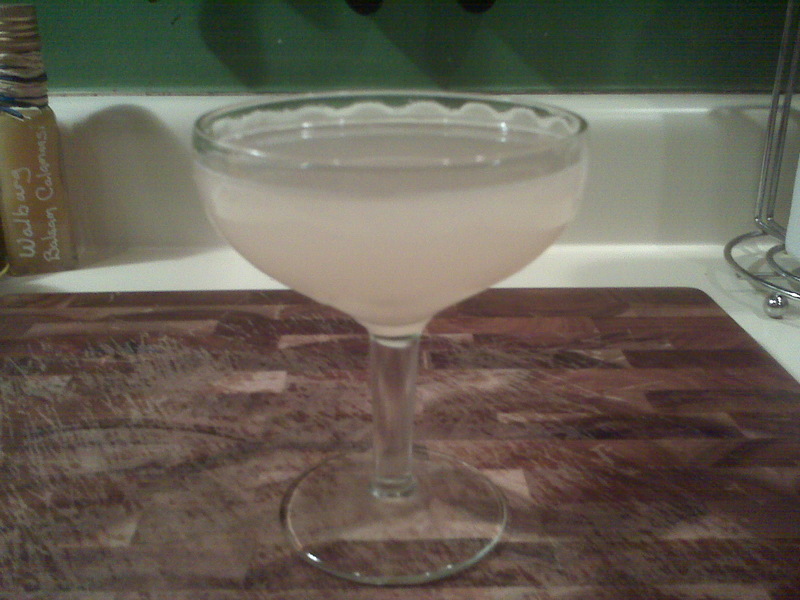 Shake vigorously for about 60 seconds (because of the egg white), and then strain in to a chilled cocktail glass. I decided to pick up a bottle of Sherry finally. 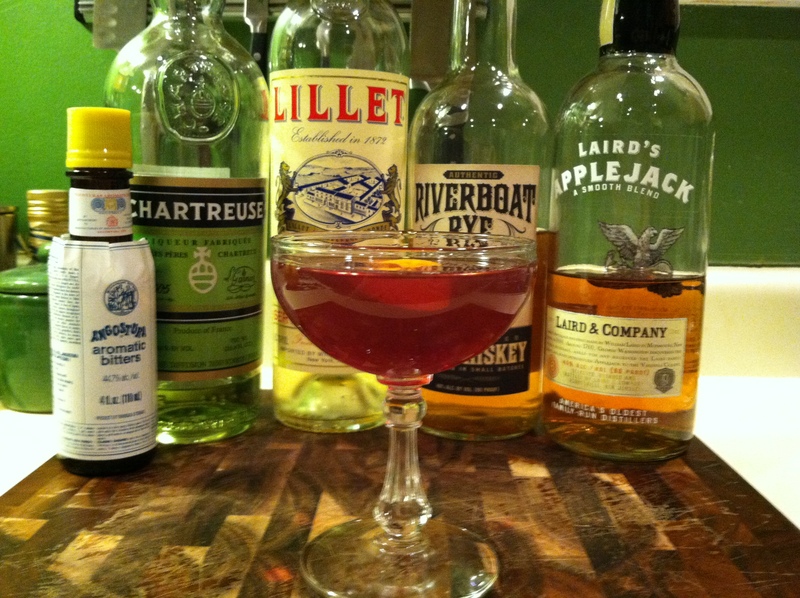 I’ve been tempted to buy a bottle of Sherry ever since I tried a “Jabberwock” at the St. Louis bar, Sanctuaria. 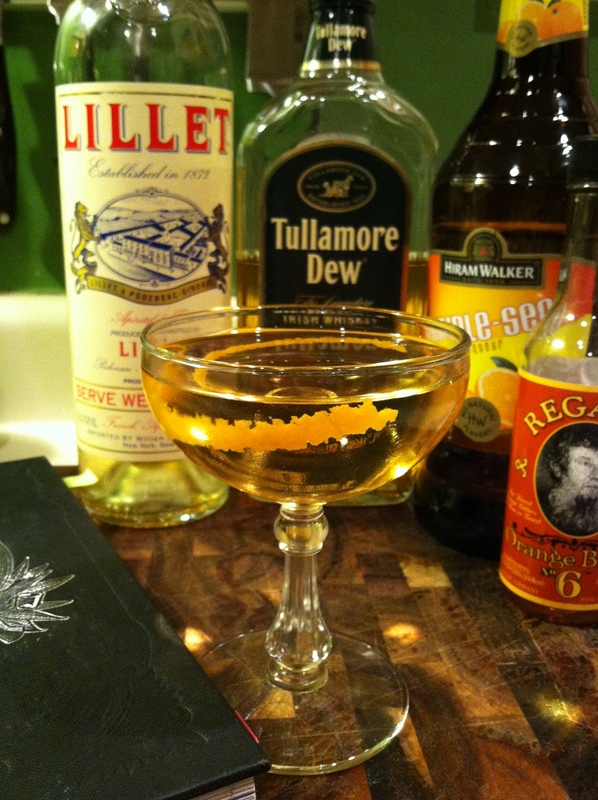 The “Jabberwock” was the first drink I had at this bar, and it’s made up of sherry, caperitif, and gin. It was a fantastic drink. 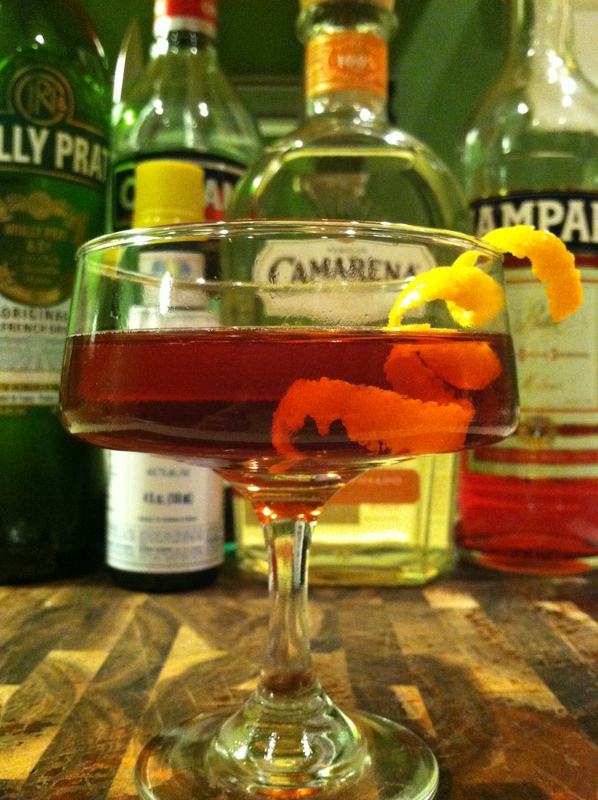 Like vermouth, sherry is a fortified wine. Sherry’s fortified with brandy, giving it a slightly caramely taste. The kind of sherry I bought is a fino sherry, which is a light and dry sherry. I feel like cocktails with sherry have a very delicate and light character. I have to say, I’m not totally in love with sherry, but it’s definitely a nice change of pace. Four of the five drinks listed below were ones I tried using my new bottle of sherry, and the fifth is just a classic cocktail (the Monkey Gland) that I wanted to try. Three out of the four sherry drinks were quite good, with only one being a dud. * That’s pretty good odds based upon the fact that there aren’t really that many drink recipes out there calling for sherry. In addition, it’s really good odds considering the fact that the search for the drink recipes came after my buying the sherry. 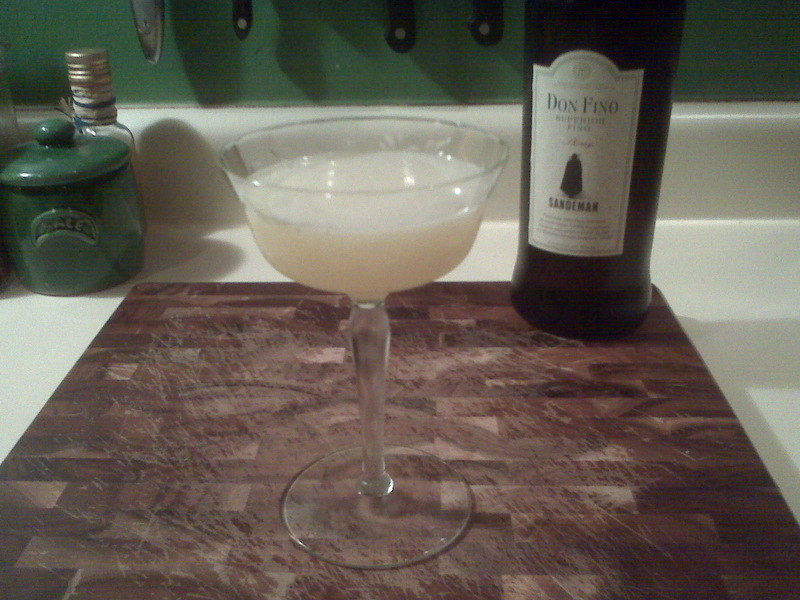 Usually, if I find the drink recipe before buying a bottle of something new, the drink’s almost guaranteed to be good. This is typically the case because the recipe tends to speak for itself. The combination of ingredients sounds so good that I’m compelled to buy a new ingredient. On the other hand, when an ingredient has piqued my interest first, and then I have to scrounge up recipes to use it in, often times it’s easier for me to fall short. 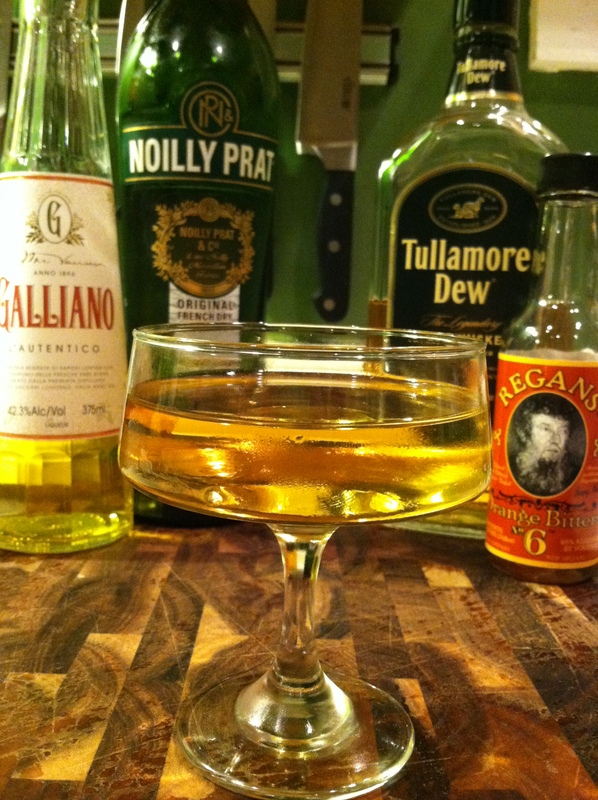 This drink was probably my favorite of all the sherry drinks I tried. It was really good and made me question my theory that I don’t care for drinks combining gin & orange juice. I’m now open to the idea! This was a really good drink because of all the extra ingredients in addition to the gin/orange combo… the lemon, the sherry and the sugar. The sherry really adds a nice flavor and some substance. I often think the gin/orange combo tastes hollow, but the sherry adds a worthy element, and it also cuts through and softens the intensity of the juices. Very good drink! 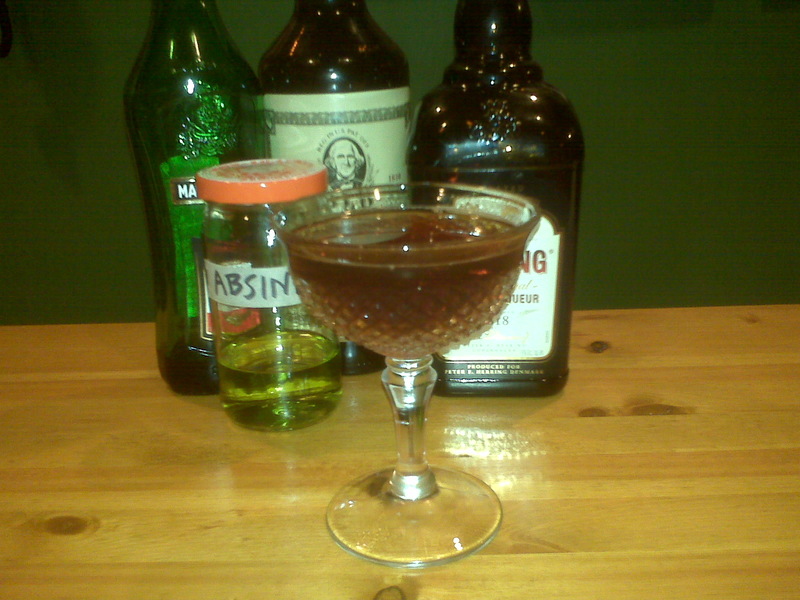 This was quite an elaborate drink for me to make. (especially on a weeknight – ha! ha!) I’ve never used ground cinnamon in a drink before, and I’ve never even tasted hot pepper jelly until this drink. 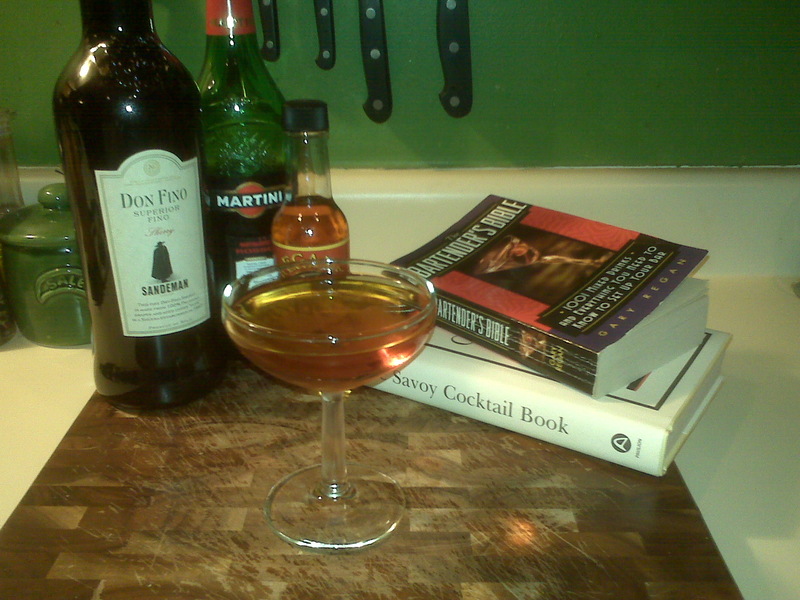 I found this drink in Dale DeGroff’s “The Essential Cocktail” book, and I have to say, it’s quite an interesting drink. It’s a spicy drink, a quite spicy drink! Overall, I like the idea of the drink. However I would say that the texture of the ground cinnamon was a little off-putting. It’s got such a dry texture, it kind of made me thirstier each time I’d take a drink. I actually think it’d be a better drink without the ground cinnamon rim. Also, I personally liked the spice of the hot pepper jelly, but that too could be removed based on personal preference or your mood at the time. It’s great if you want a drink with some heat, which is definitely fun, but I think a drink with just the rum, sherry, orange and lime might be quite a good drink. With the cinnamon and jelly, the drink resembles an actual meal (and that was DeGroff’s point, I think), but without the cinnamon, it’d be more “drink-like”. Try it, and see for yourself! Shake well and fine strain in to chilled cocktail glass. This drink was the dud of the group. It was OK, not terrible, but not great. 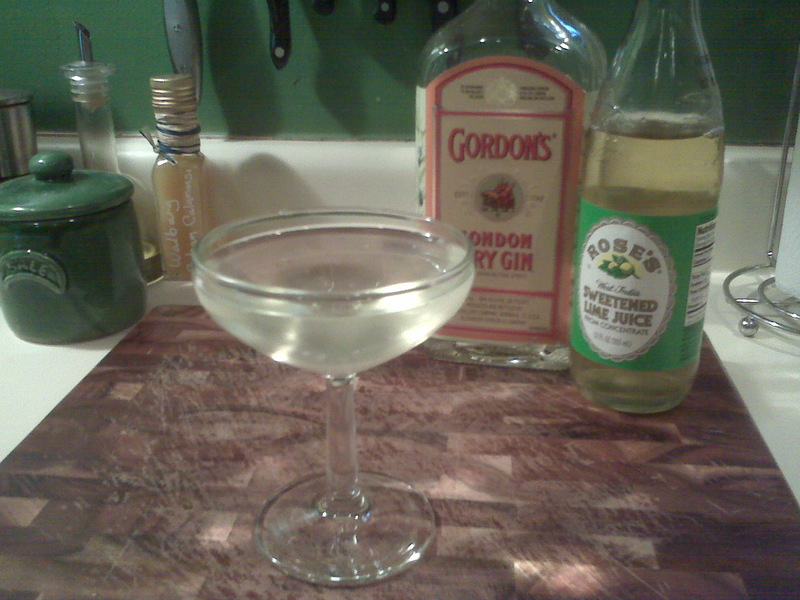 It’s like a slightly sweeter dry martini. This was a very nice cocktail. It’s silky & light. It’s sweet, but also a bit deep & dry, with notes of caramel from the sherry. 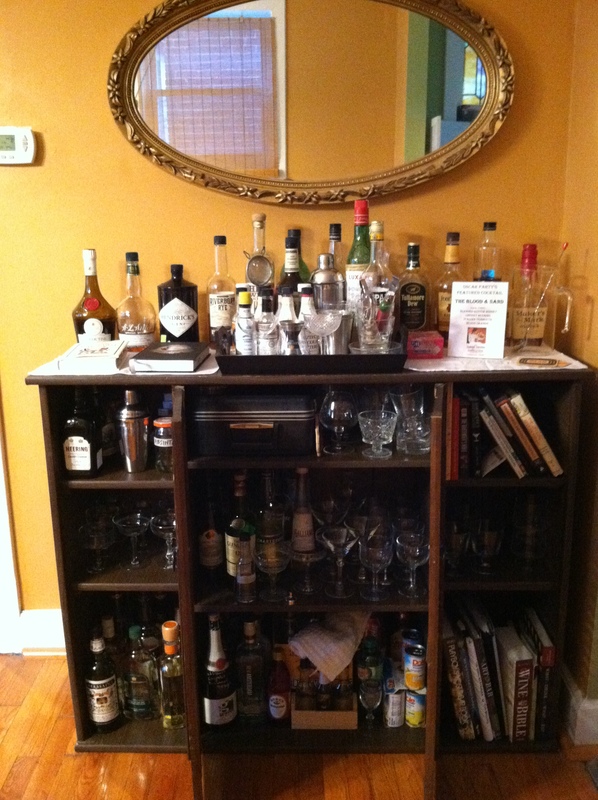 1- I don’t know… the anise and OJ tastes a little medicinal. 2- It’s OK, not great, not bad. 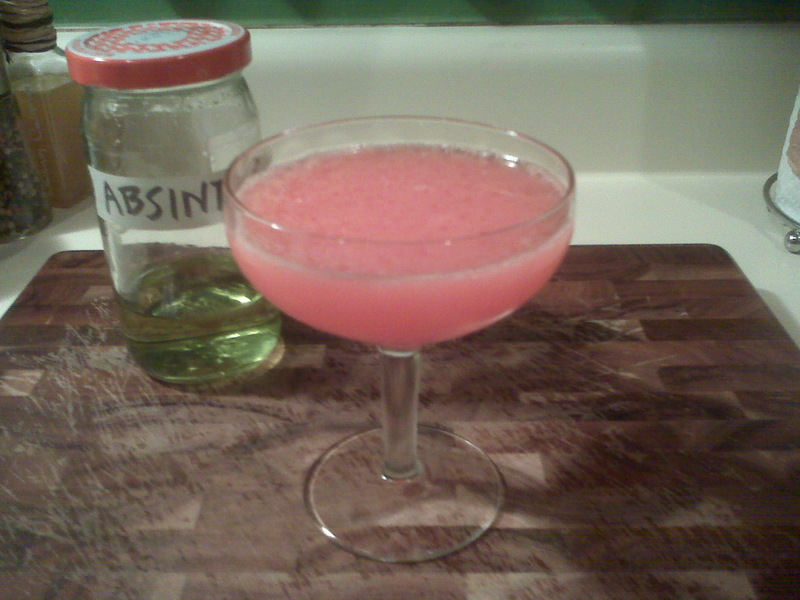 3- It’s kind of a nice, fruity absinthe drink, which is a bit unusual. 4- It’s kind of grown on me. Ha ha! This drink got the best of me! Hats off to it for that! 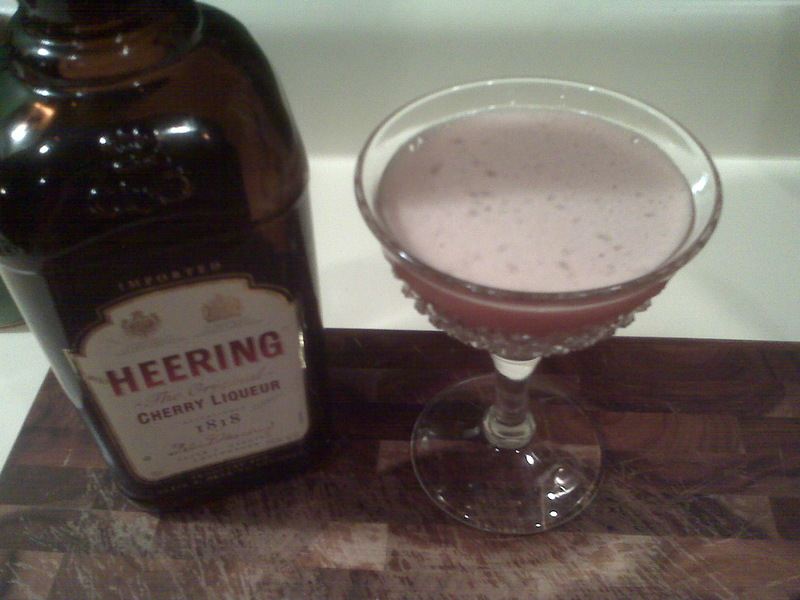 * As I was writing this post, I actually remembered a 5th sherry drink I tried, which was terrible. It was such a dud, that I didn’t even want to write about it, so beware… BEWARE the “Quarter Deck”. It was terrible! 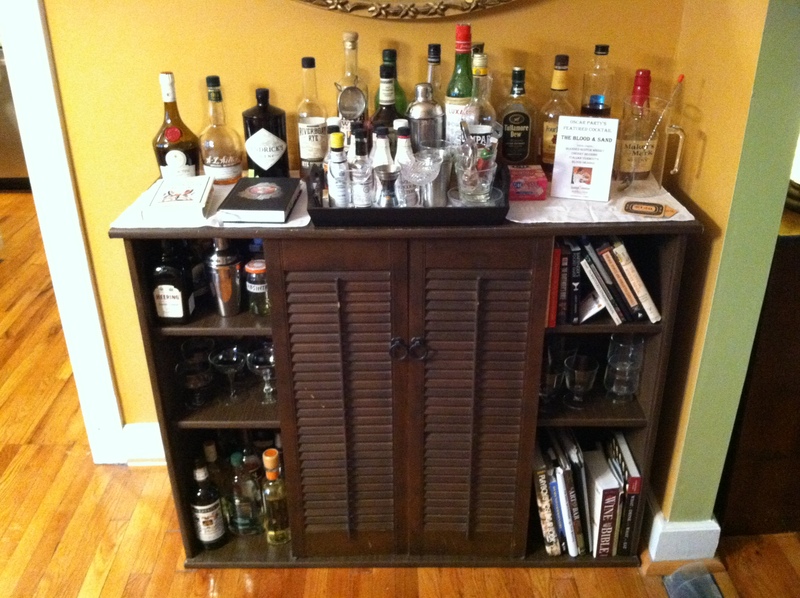 With summertime being in full, full swing in St. Louis, the lighter, fruit-juice cocktails have really taken center stage at my house. With temperatures rising above 100 and hanging in the 90’s after sunset, the Gimlet is a great refreshing back porch quencher. And so are the Colonial, the Gypsy and the Nevada… all drinks I really enjoyed over the last couple of hot weeks. These cocktails aren’t just great drinks because of the summer heat and their refreshingness, but also because each of these drinks is a stand-alone hit. Each of them had very well-balanced flavor combinations and were as fun to sip and savor, as they would have been to gulp down whole. This drink was so good… a tarter tasting “fruit juice cocktail”. 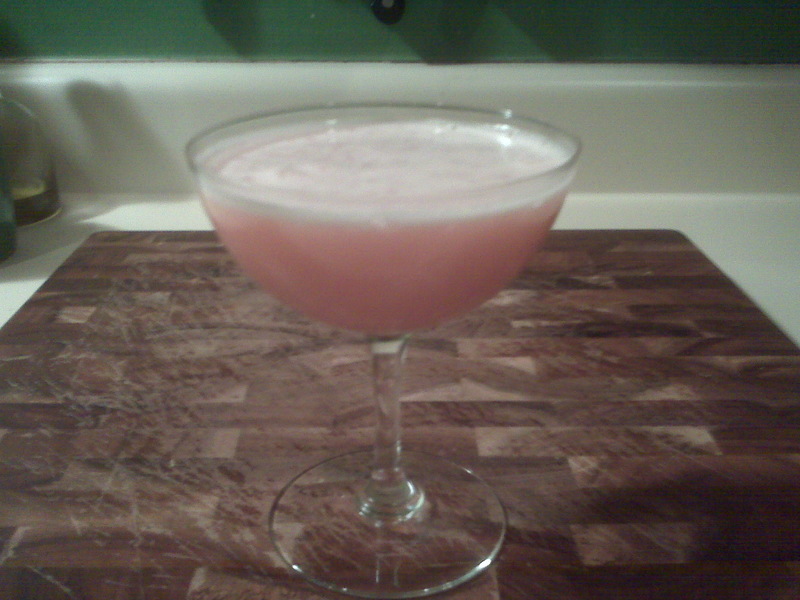 I really haven’t had grapefruit juice in a long time, and one day, got the itch to start making some grapefruit cocktails. 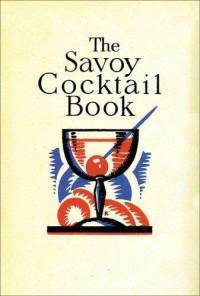 I guess it was flipping through “The Savoy Cocktail Book”… there’s several drinks in there with grapefruit. 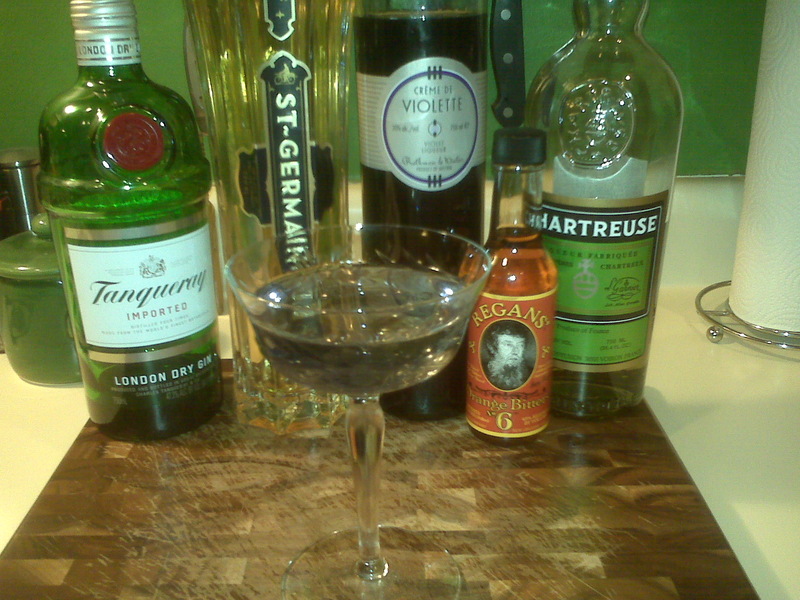 I’m glad I got the itch… it’s such a great taste for a cocktail. There’s something unique about grapefruit juice to me… always has been… it’s not like other juices. That’s why I think it lends itself so well to cocktails. 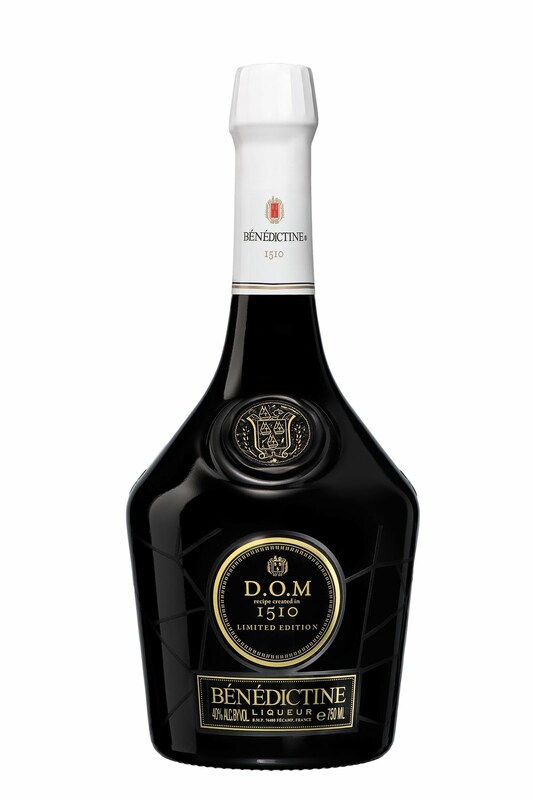 It’s such a unique taste to begin with, that it makes a perfect partner to the unique taste blends of cocktails. This drink grew on me so much that I think I made it four nights in a row. And that rarely happens. I like having different drinks almost every night, very rarely ever making two of the same drink, two nights in a row. So four nights in a row was quite the confirmation that this was a drink would become a regular in my rotation. 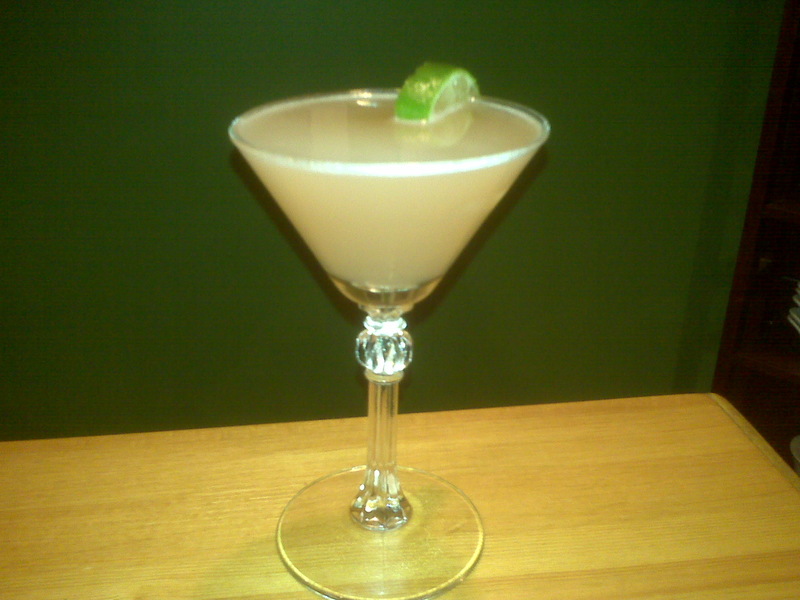 The Gimlet, in its original recipe… with the Rose’s Sweetened Lime Juice. So simple… so good… so refreshing! I wish I had a jumbo Gatorade Cooler full of it. I guess it’s for the best that I don’t. 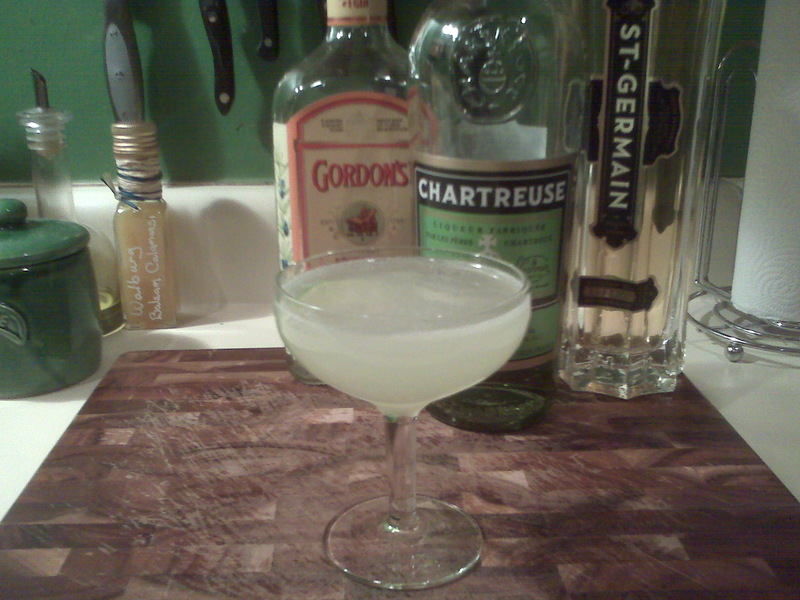 Even though, my favorite Chartreuse cocktail, The Last Word, is one of the most refreshing drinks I can think of, I don’t normally think of Chartreuse when I’m thinking of a “refreshing summertime quencher”. However, it once again works well in this refreshing, sour cocktail. 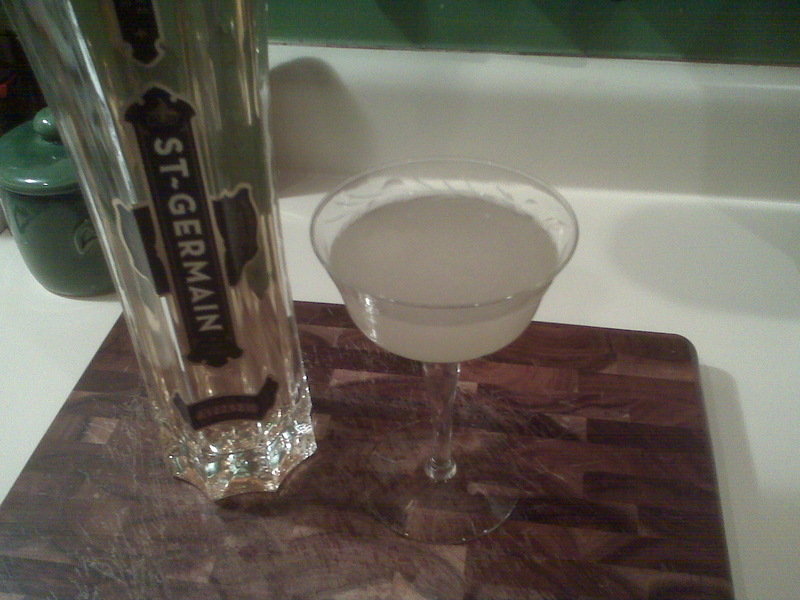 The St. Germain really balances out the Chartreuse, sweetening up the drink by muting the Chartreuse a little. 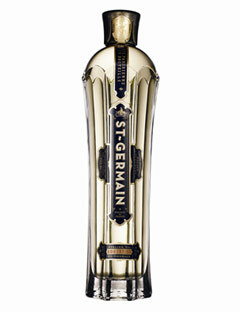 In fact, the St. Germain mutes both the Chartreuse and the lime juice, making for a very nice, balanced and refreshing cocktail. I’m very lucky to have stumbled across four such great summertime cocktails in the past couple of weeks. 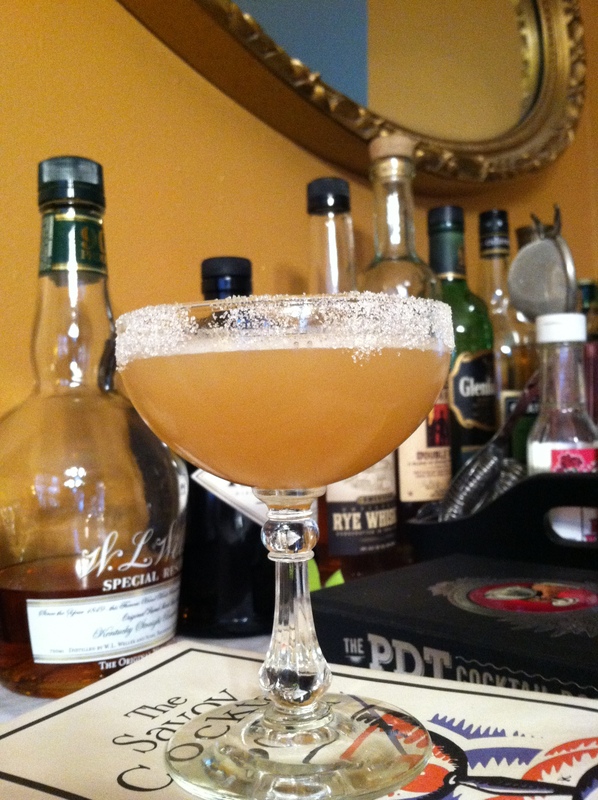 The fourth great cocktail that I loved is called “Nevada” and is in one of the first cocktail books I bought, called “The Art of the Bar”. The recipe may not look like much on paper, but again, the balance between the ingredients is so good! Or maybe, I just really, really like grapefruit juice in my cocktails?